The pool opening and closing solution. 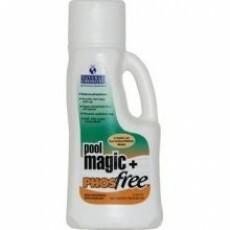 Contains all natural enzymes that break down organics to make opening and closing the pool easy. It prevents organic staining through the off-season, which makes the following season opening a breeze. Used at pool opening, it polishes the pool water for eye-catching appeal to start the season off right.